RhiReading: Weekend Reading [12/16-12/18] :: Cold. So very cold. Weekend Reading [12/16-12/18] :: Cold. So very cold. Greetings from central Montana where the current temp is somewhere in the balmy region of -6° F. We haven't seen much warmer in two weeks now. I am so sick of being frozen. Fortunately, the holidays are almost here which will be a nice break from the chaos of trying to keep a bunch of younglings from going bananas because they haven't been able to play outside for weeks. I've had no break times at work where reading was an option so I haven't gotten much reading in this week. 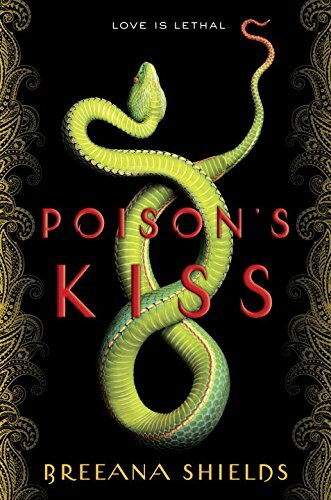 I'm working on Poison's Kiss though, and it's the kind of book you can forget yourself in so the small chunks has been good instead of bad. What have you been reading lately? I picked up a holiday shifter romance book yesterday that I might take a break for just to do something mindlessly fun to enjoy with wine and a hot bath. If you have any PNR with Christmas theme recommendations I would love them!